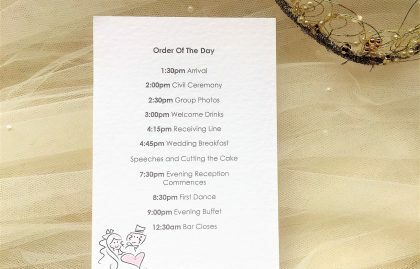 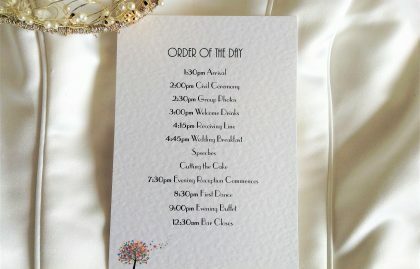 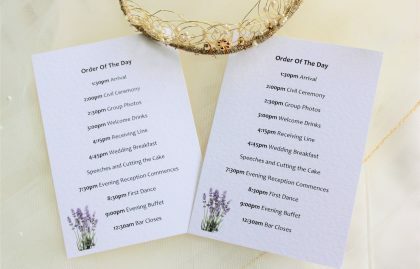 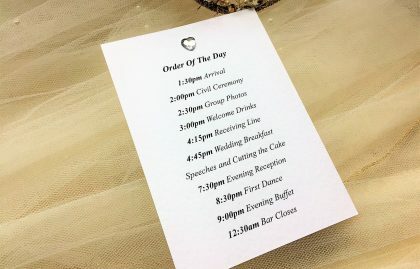 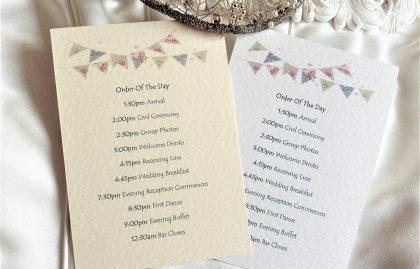 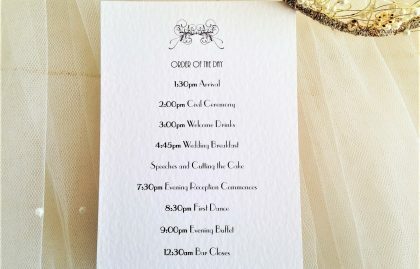 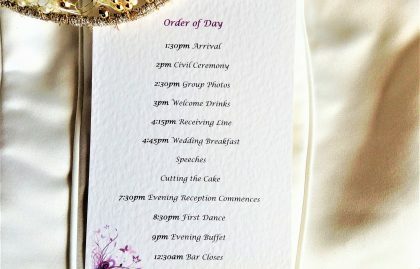 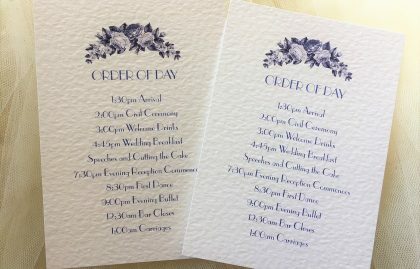 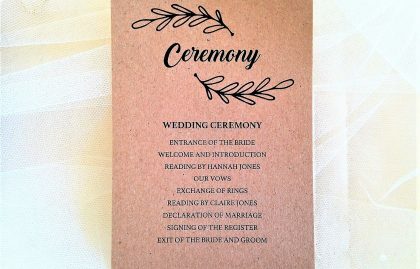 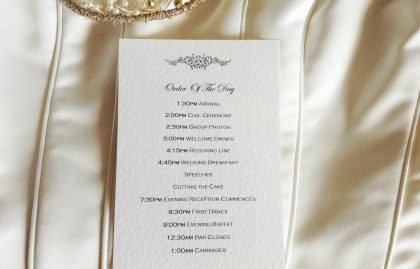 Wedding Order of Day Cards provide your wedding guests with a schedule of the day and timings so they know what to expect on your wedding day. 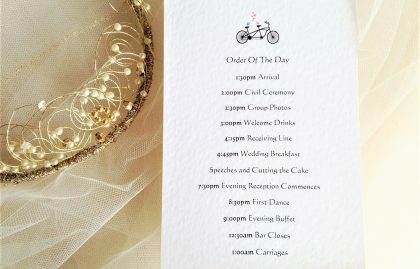 These cards can either be enclosed with the wedding invitation or handed out when guests arrive at the wedding venue. 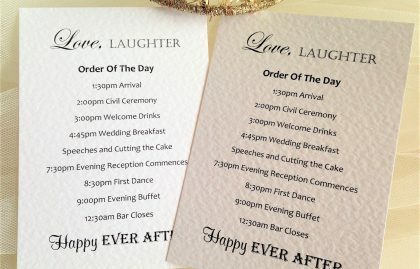 We can print in any colour/font to match a wedding theme.